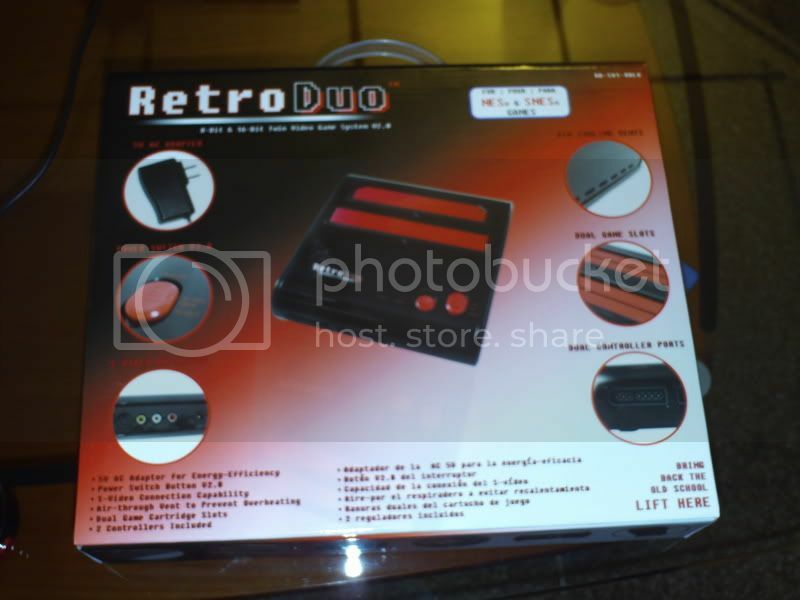 The RetroDuo is a NOAC / SNESOAC “clone” system developed by INNEX in response to the minor incompatibilities that years of Famicom and Super Famicom clones have proven to produce. Generally speaking, due to current, ongoing research by myself and others, while some minor incompatibilities have been discovered, the system has proven so far to be compatible to a greater degree than most other clone systems on the market. 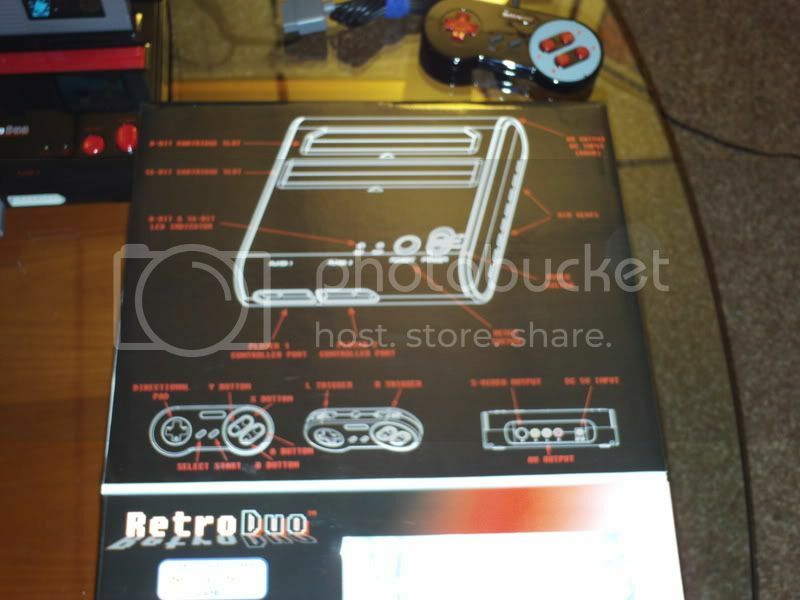 The RetroDuo is about 6 inches by 6 inches, and stands approximately 2 inches high. It currently is available in two finishes : black and red, and blue and white, both being mirror finish plastic similar to a Playstation 3. 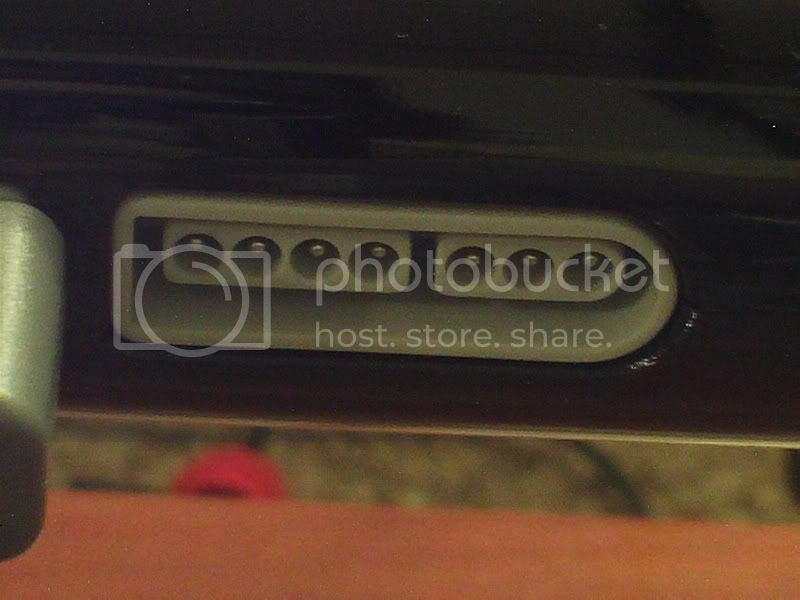 The NES cartridge slot is in the rear of the unit, and the SNES/Super Famicom cartridge slot is in the front. 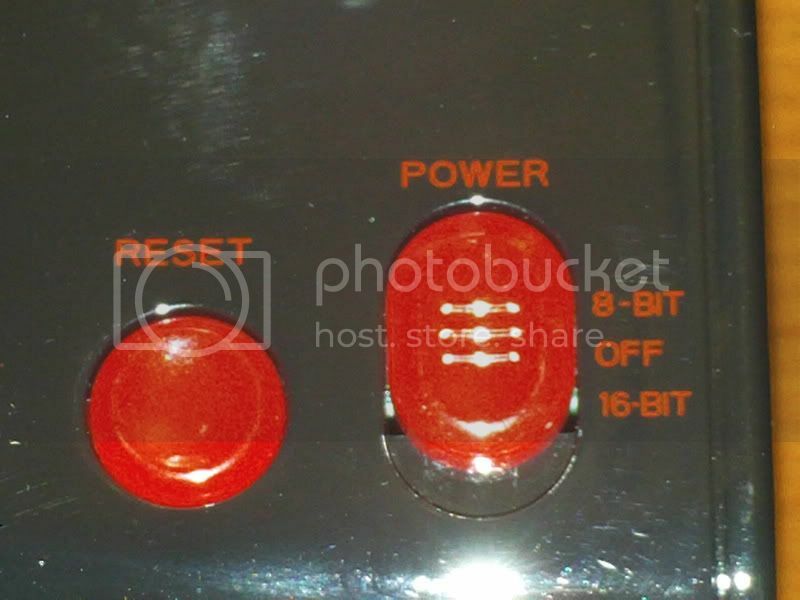 The unit has a power switch which rests in the OFF position by sitting centered, and powers on the 8-Bit NES games by being pushed up and 16-Bit SNES/Super Famicom by being pushed down. There is also a reset button which has a spring loaded “click” when pressed. The RetroDuo can run Super Famicom games (which have a different cartridge size/shape than US SNES games) from all regions with NO modifications to the systems hardware. It does not contain any plastic preventing this. 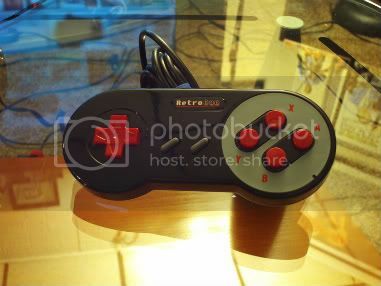 The unit comes with two SNES style controllers (also mirror plastic, which I find to be potentially slippery), and uses standard SNES controller inputs. 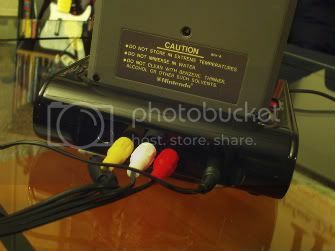 Compatibility reports from owners show that the unit allows for standard official SNES controllers to be used in place of the included controllers. On SNES games, all buttons are mapped to their correct buttons, and on NES games the B button is mapped to the top-left Y button and the A is mapped to the bottom-left B. 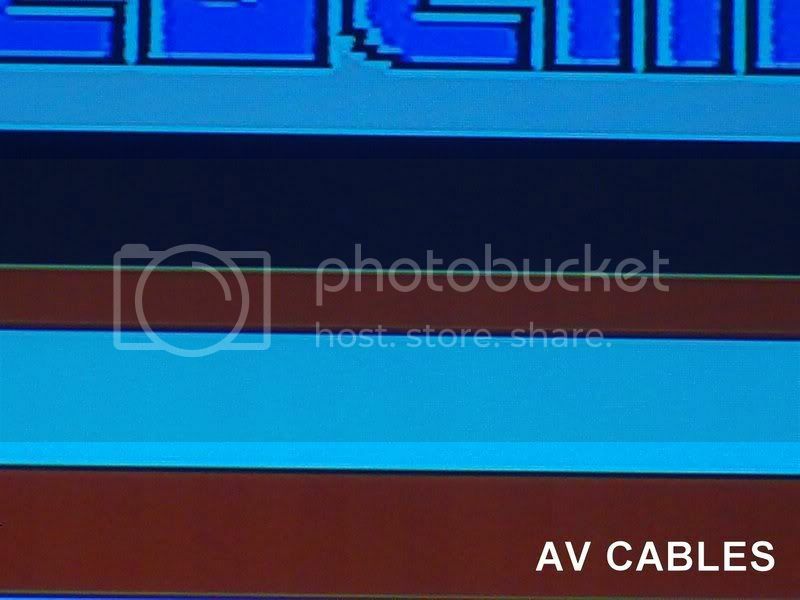 When using the composite A/V cables for both NES and SNES games, the NES games display with a superior, more “solid” resolution, while SNES games have a slightly lower-than normal resolution, and have been reported to have minor “crawling” artifacts on screen. 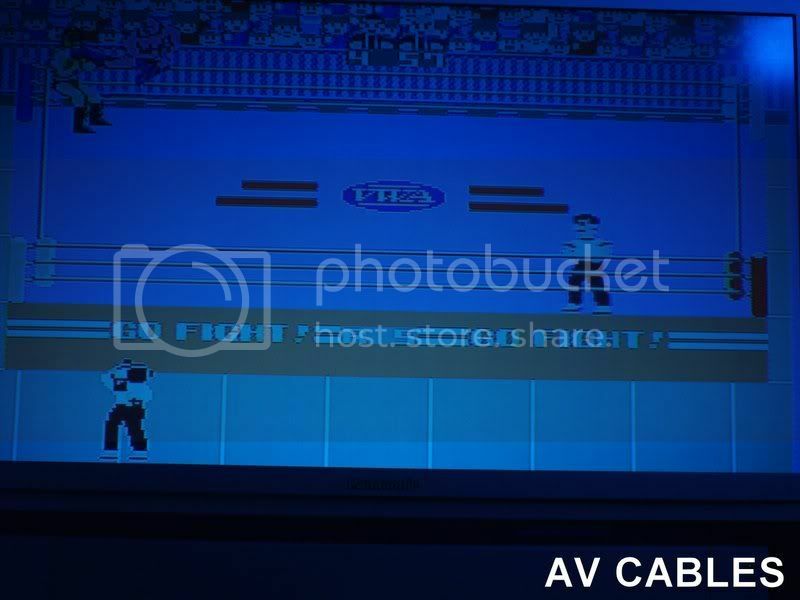 When using the S-Video cable for both NES and SNES games, the SNES games display with a much “crisper” resolution, however, the NES games display with minor “resolution tearing” (interspersed pixel color variations). 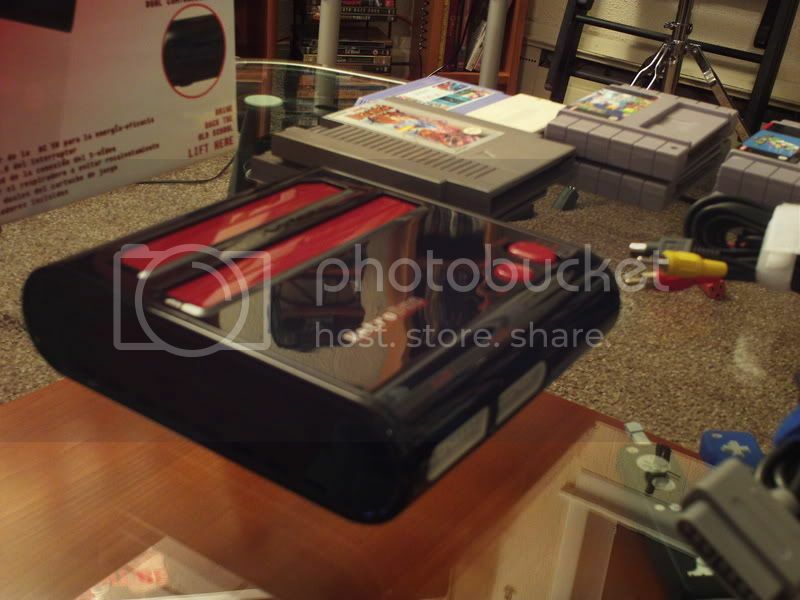 Neither setup has been proven to be distracting to the point of not being able to play NES or SNES games in their “lower fidelity” resolutions, however, OPTIMAL resolution choices are NES with Composite A/V and SNES with S-Video. 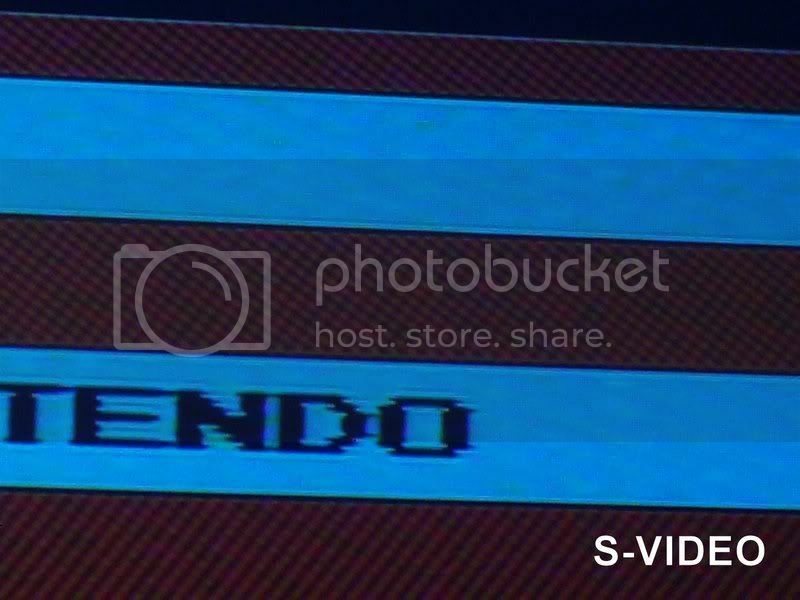 Due to the fact that the unit will default to S-Video display if the S-Video is plugged into the unit itself, you will need to unplug the S-Video from the unit when selecting NES games on the RetroDuo. Audio for both NES and SNES appears to have the correct hardware and sound emulation, and while some instrumentation on the NES (notably the MIDI-style percussion) sounds a bit flatter/tinnier than an actual NES, it does not appear to be missing any sound channels. The unit is light, as most NES / Famicom clones tend to be. The pin-sets on both the NES and SNES also appear to be much looser-gripping than most NES and SNES clones typically are, though this has not appeared to cause any issues with gameplay in any of my tests, providing games are clean. Again, as far as other popular NES / SNES clones on the market go, the list of games that are 100% incompatible is generally small when compared to the complete software library for both systems. However, some of those titles happen to be popular, and highly revered milestones in both systems’ respective library. The Retro Duo does an amicable job of providing higher, near-complete compatibility of the list of titles that are non-compatible on other clones. 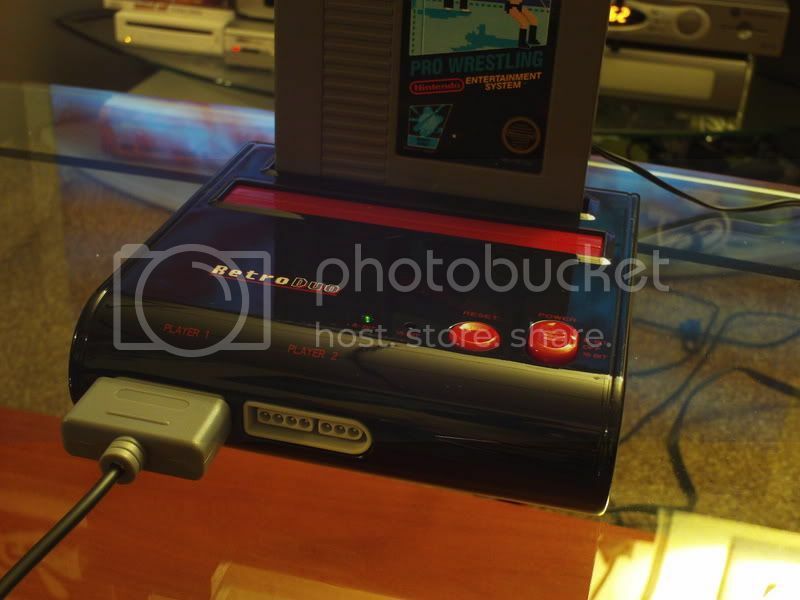 The RetroDuo also has proven to be compatible with devices that have given other clone systems trouble, most noteably : The Super Gameboy, as well as the NES Game Genie, and SNES Super Game Genie. I have successfully run import Famicom games in the NES portion of the unit using a “HoneyBee” style cartridge adapter. 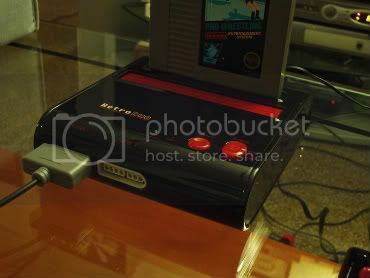 Recent tests run by DP Forum Member RemoWilliams have shown that the RetroDuo is compatible with both the Tototek SNES flash cart AND the www.RetroUSB.com "PowerPak" NES re-writable Flash Rom Multi Cartridge. 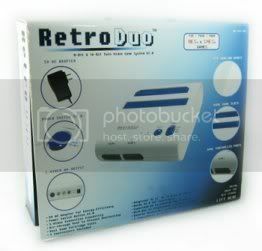 Due to the unique nature of these products, this is a major mark in the favor of the Retro Duo console. SNES "slowdown" reported on certain games : DP forum member and RetroDuo owner Nero99 reports that the SNES game "Demon's Crest" had noticable slow-down in areas containing a large amount of on-screen action while being used on a RetroDuo. This phenomenon was reported to severely impact the quality of gameplay, and was verified by Nero99 as specific to using the cartridge on a RetroDuo console, the same section of the game had no slow-down when used on an actual SNES. I'm awaiting further reports of games that have speed issues on the Duo vs. an actual SNES, and I will test the games in my collection when I have an opportunity. Here are some video reviews I made, if you are interested in seeing the unit in action. 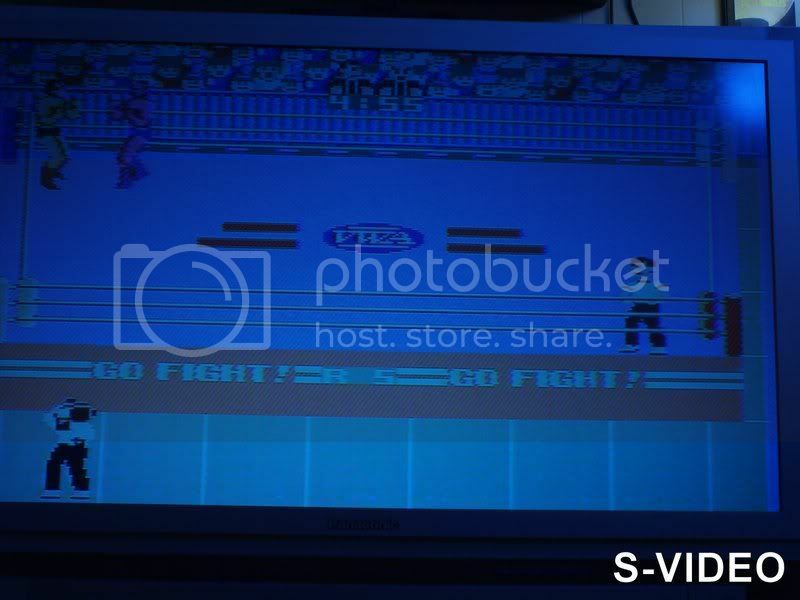 Here are the NES MODE S-VIDEO/AV comparison shots. Low light used to avoid the camera flash washing out the screen. Aside from the terrible "RetroDuo" logo, the unit is actually pretty...PRETTY! Let me say that again: I've finally seen a good-looking Famiclone. It's a shame it doesn't seem to accept regular Genesis controllers - sure, you'd go with SNES if you had to make that choice (as they did), but the SNES controller just ain't a Genesis controller, shoulder buttons or not. Not only is it pretty, it has the official "Digital Press" colors! Looks great, I'll have to pick one up. I've been waiting for a clone that could play Castlevania 3. 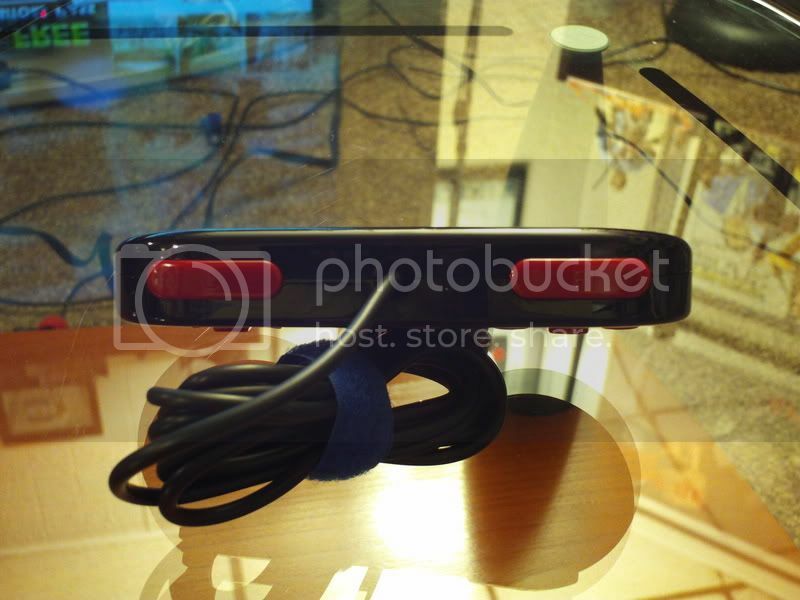 Bet those trails you were seeing were a result of your LCD screen and not the system. Hard to say though, I know every LCD screen I've ever used anywhere has some slight blurring. How come everything looks sort of distorted on the videos, are you stretching stuff to fill a widescreen display? Last edited by Leo_A; 03-09-2008 at 03:20 AM. Yeah, I play my 4:3 systems on my 16:9 screen in "full" mode. I'm used to it ... the side "black bars" are more distracting to me than the minor stretching (that I don't even notice anymore). Most of you know that I'm a Famiclone junkie ... no matter how many I have, I always want the next size, shape, and/or style variation. Super tiny Yobo unit? I want it. NOAC in a Dreamcast Controller shell? I want it. Shaped like a PS1? I want it. Shaped like a Penguin? I want it. Half NES half Genesis? You get the picture. Just got my RetroDuo in the mail today ... and hot damn am I impressed. I know that Yobo FINALLY updated their NOAC/SNES hardware sometime last year with the NES/SNES "FC Dual" (not the FC Twin) system to correctly play games like Castlevania III and Star Fox ... and as excited as I was at the prospect of a dual clone that could play Castlevania III (and likely a lot of other games more accurately) they never seemed to make their way onto eBay. So, now then, ENTER THE RETRO DUO! Here's some pertinent things that I've noticed about the system so far. It's well boxed, includes 2 SNES style controllers, an AC adapter (which has a VERY short cord, about 3 feet) and a set of AV/S-Video cables. It has both AV and S-Video output (though only the SNES software outputs correctly in S-Video). It's slightly smaller than the Yobo FC Twin, and rests completely flat on a table. It's as light (almost "flimsy" feeling) as most Famiclones tend to be. It's mirror-finish plastic ... and while I ORDERED the WHITE one, the eBay seller sent me the BLACK one. Yuck. Fingerprints and dust. COMPATIBILITY : Literally every single thing I threw in the thing worked. NES games have visually solid graphics output (I played it on a 50 inch LCD) ... I noticed some strange "trails" in games like Arkanoid but no " pixel scrambling" or incorrect color palettes in anything. The audio on NES games seems pretty good ... I'm betting that they managed to emulate all of the sound channels and midi instrumentation properly ... or MUCH better than the older NOACs. It had a bit of trouble with a Famicom HK Multicart with Honey Bee adapter on the "menu" screen ... it rolled around like it had PAL output ... it didn't crash the system and I could see the menu okay, and once I selected a game off the menu and it booted the ROM it was fine. SNES games all look and sound great, runs Star Fox like a freaking charm! It even accepted the Super Gameboy AND my 64MB Gameboy Bung Flash Cartridge! Seriously, everything I had and tried - WORKED! If you don't already own a dual NES/SNES clone, this is the one to get IMO. Nice product, nice aesthetic design ... and VERY good compatibility. I'll bring it down to the next NAVA and we can all mess around with it. Here are some video reviews I made (sorry for the Cloverfield camera action in the first minute, my tripod couldn't get a good shot of the box from the table). You son of a *censored*! You stole my spot light. I myself was just about to put up my revew of the Retro Duo! I even stated it in the thread i started! god dangit!! pyche!!!! I dont care its not like you were all like " Oh that guys doin a review for Retro Duo . Im gonna do one first!" pretty good review of it any ways. Im still gonna put my review of it up. Good work Frankie!! I searched the forums this afternoon but didn't see any full reviews, and I didn't catch your post in your thread that you were about to do one yourself ... didn't mean to steal your thunder. Was there anything you noticed about yours that I didn't elaborate on in my review? Do you have the messiah wireless SNES controllers? If so, did you try them out with the RetroDuo? How did they work? To make a long story short, it works decently as long as I run NES carts through composite and SNES ones through S-video. Kind of a pain. Has this been an issue? Is it necessary to swap input cables or can I play both NES/SNES carts hooked up composite?? Thanks a lot Frankie!!! I have been curious about this clone for some time and didn't know if the rumors were true about it playing Castlevania III. I'm happy to see that it does. I almost bought an FC Twin a whileback. Thankfully the place I went to buy it had had one on display. While the SNES looked and sounded good the NES sounded terrible. They had the first Super Mario Bros. setup to play and the music sounded completely different. So I wanted to ask... When playing SMB 1 is the NES sound on the Retro Duo better than the NES sound on the FC Twin? If so... then that seals the deal and i'm buying one. All in all that was an excellent review. Answered everything els I needed to know. Composite should be able to do both. And I haven't tried it, but I think you should be able to have composite and s-video hooked up simultaneousily, and you can just select which input you desire on your television, depending on the system. I don't see why it wouldn't work. naw you said everything I woudof said. i was waiting for my freind to fix his camera before I did it. oh well when i do mine ill have to go all angry video game nerdhahahaha! ANSWERS MOVED TO 1st POST! Last edited by Frankie_Says_Relax; 03-10-2008 at 08:11 PM. Where did you get yours? Do you have a reliable vendor for these? I got mine off eBay. The seller shipped it quickly and inexpensively and packed it well (though they sent me the wrong color). Last time I checked they appeared to have a few left...and they don't seem to be in shortage if you do an eBay search for "RetroDuo". Thanks for the review Frankie! This looks like a winner to me! Does the Retro Duo play Famicom & Super Famicom games as well? If not, have you tried a Honey Bee Converter for Famicom? Wow! I think that re/black scheme is nice! Good way to combine systems. Strangely for some weird reason I like the idea of playing original games on real hardware but anything other than the original hardware, of course I just like to be different as it's a good conversation starter! It plays them with a Honeybee converter. As I stated in my review and showed in the video, the multicart I have gave me a bit of trouble on the menu screen (it looked like it was displaying in PAL on an NTSC set) but once I got to the actual ROMS it was fine. I also tested Famicom copies (all HK pirates I think) of single game carts - F1 Race, Super Baby (? ), and Super Mario 2 JAP with the adapter and they worked fine. Last edited by Frankie_Says_Relax; 03-10-2008 at 08:57 AM. Hey Frankie, solid review man. Does the SNES slot have the american "tabs" that prevent you from playing Super Famicom/Euro SNES games? I'm not sure how else to word it, and if you're not sure what I mean, taking pictures of the open SNES slot would answer well enough, whichever is easier. Thanks, and congrats on a good purchase! Reporting from the frontlines of the DP Store, Frankie says that you are able to play any import SNES no problem. You do not need to file down any tabs, it works perfectly. There's some nice evidence of non-US SFC game in one. I see no tabs in mine that would otherwise block that type of action. I've got no excuse now, I must buy this. Hey Frankie, that is fantastic! Great review, and from the looks of it, this is the ultimate NES/SNES clone....at least it is the nicest one I have seen thus far. Very cool! RetroDuo and PowerPak - CF brands that work? The New Official Castlevania Thread! European SNES carts don't work on clone systems? 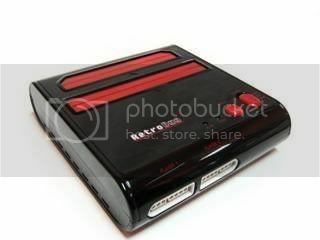 Like the RetroDuo, should there be a TurboGrafx clone? Okay, just a quick question (Famicom Disk work w/RetroDuo).